The use of child safety seats in vehicles is low in the city, which enacted a revised traffic rule in March to order the use of such seats for children aged under 4. A professional technician shows parents how to properly choose, install and use a child safety seat at Xinhua Hospital on Monday. About 70 percent of local families with children aged under 6 have child safety seats — but only 33 percent of them strap their child in for every ride. The findings are published in a survey released on Monday. Safe Kids Worldwide, a non-profitable organization, teamed up with local police and health authorities to conduct the survey covering 693 local families with children under 6 for studying public awareness and actual use of child safety seats. The survey coincides with a program that started in local hospitals on Monday to educate and guide parents on driving their newborn babies back home. Professional technicians went to Xinhua Hospital to teach parents how to properly choose, install and use child safety seats. During a month-long program, the technicians will visit other local hospitals as well as other cities to promote car safety knowledge. To enforce the use of child safety seats, the city’ s revised traffic rule enacted in March has ordered that proper seats for children under 4 years old must be used. People ignoring the rule face a 100 yuan (US$15) fine. Use of child safety seats can reduce the mortality rate of infants in car accidents by 71 percent, according to statistics. 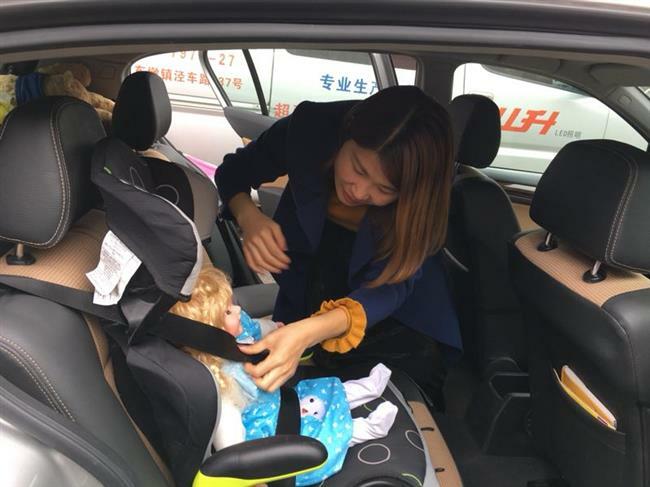 “We found many parents still have poor understanding on the importance of using child safety seats," said Monica Cui, an official from Safety Kids Worldwide. The leading reasons cited for not using seats, she added, are that it's not worth strapping them in for short journeys or that children cry if they are strapped in. 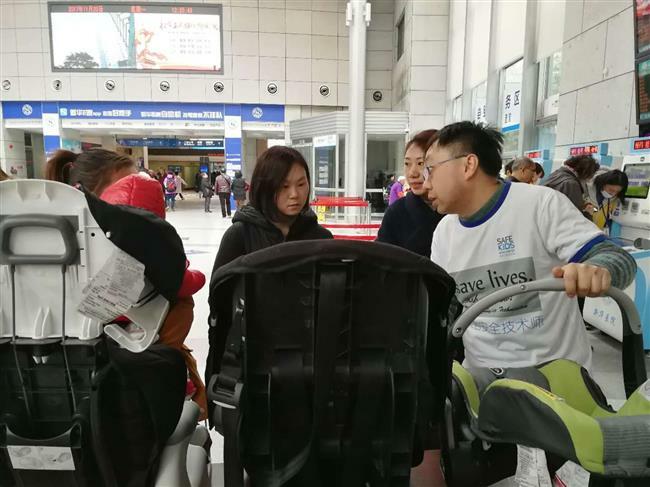 Peng Juanjuan from Shanghai Center for Disease Control and Prevention said the authority is promoting child seat education in maternity hospitals and hospitals with maternity departments. “Many developed countries regulate that parents must use a child safety seat when taking their newborn baby from the hospital. We are also promoting the education to encourage more families to use the facility to protect their children’s health and safety,” she said. 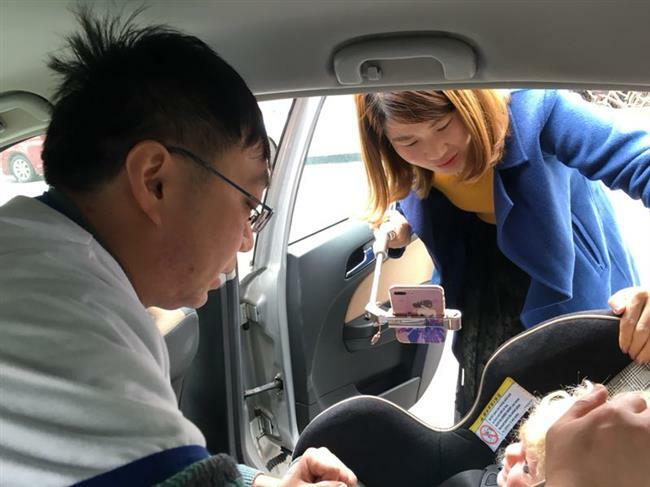 Gu Jinhua, a mother with a 17-month-old boy, said she forces her son to stay in his child safety seat if riding on expressway and sometimes holds him in hands while the car drives slowly in downtown roads if the boy cries. “I will change that habit and keep him in the seat for his safety in the future,” she said.